Parents get asked all the time about their best tips for this and that. 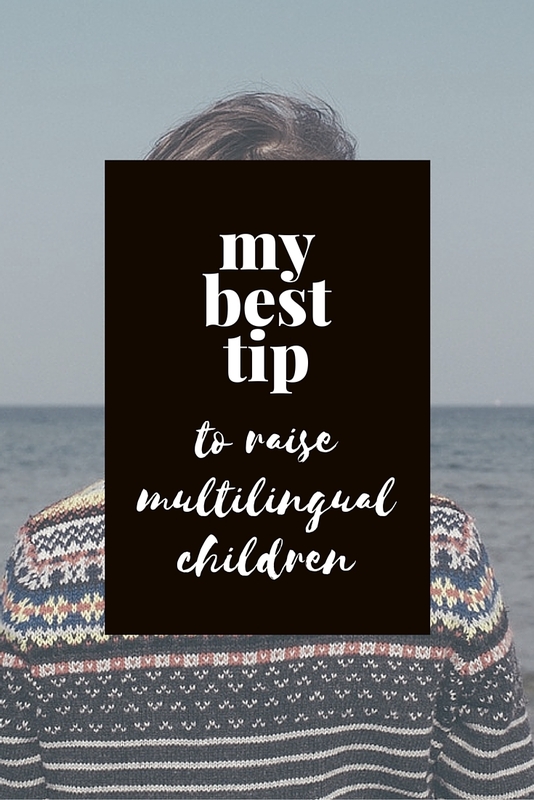 This week bloggers around the world were set the challenge to share their best tip to motivate a child to speak the minority language. 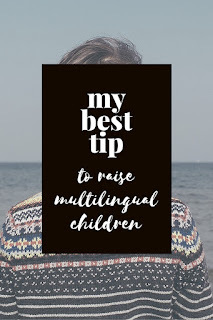 My best tip for motivating a child to speak the minority language? I was a little stuck. My page laid blank for a long time. Technically, we have 3 minority languages: French, English and Portuguese. We do not struggle at all with French or English for various reasons I won't go into here. But Portuguese is another story. Papa (the Portuguese speaker) switches to French, is often away for work and we have no other Portuguese speakers around us. Motivating our children to use it is impossible. They have no-one to use it with. There is no real need for them. Understanding it would be enough for me. I have decided to not worry anymore about it. What will be will be. So I guess, my best tip would be don't stress about it. Everything they will hear is not lost. They are storing it up somewhere in their amazing little brains and may surprise you one day. Get them interested in their heritage, in the culture surrounding the language, in the people who speak the language. Show them your love of the language, of the culture. Not what everyone else says you should do. By all means read all of the tips you can find out there as there are some really awesome ones and they will give you some ideas and inspire you to develop your own. 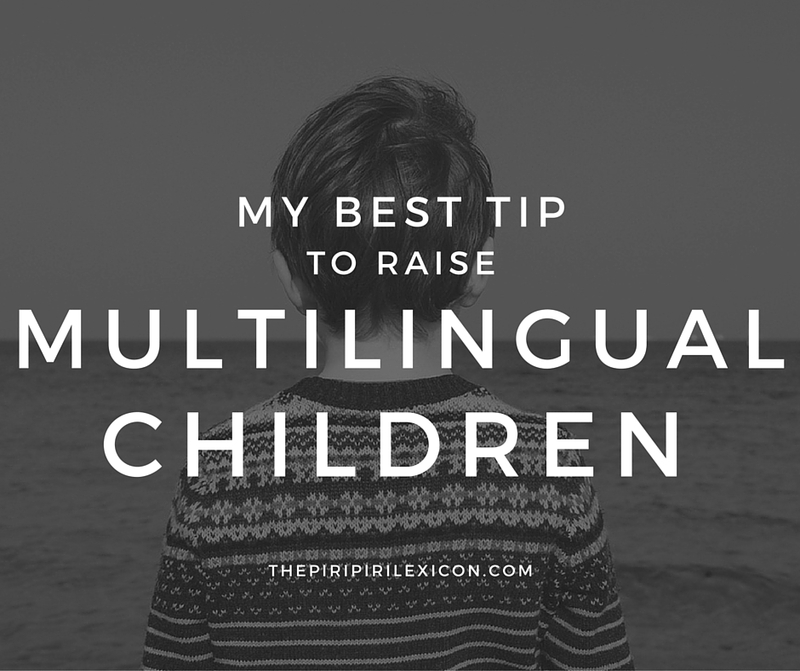 However, there are no rules when it comes to raising multilingual kids apart from. Something that works for others may not work for you. Research in bilingualism is so incredibly difficult to carry out because there are millions of different language combinations and family settings. So things that work for some will not work for others. Don't follow the "they say" trend. It might not work for you. I am dumbfounded by the amount of parents on forums, online groups who still say things like: "oh but they say it is better to do it that way." Regardless of the number of people who tell them the opposite when they hear about their specific situation, they still stick to the "they say" mentality. Read all of the wonderful tips you can find. Try a few. Don't give up. But don't stress yourself about language. You are doing your best. In the great scheme of things, there are so many important things in life. 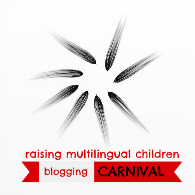 This post was written for the Raising Multilingual Children carnival. Great advice, I totally agree. Stressing about it is only going to make things worse and there are more important things in life to stress about than a minority language. I think these days with so much information at our fingertips we have the tendency to over analyse everything and not go with the flow and use common sense enough. Excellent advice! I just started teaching my baby Spanish. She is 4 months old and many people have asked me if I am concerned with her being able to learn 2 languages (I can imagine when people here more than 2 they really freak out.) Honestly, I hadn't started to stress... yet. But I hope that this article comes to mind when I start! Thank you!